Look no further than the Queen herself. 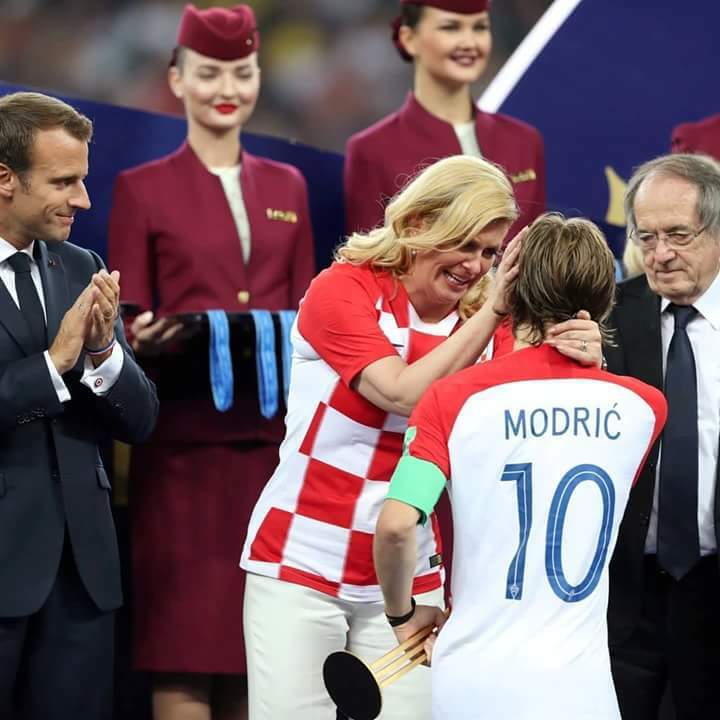 Away from the trophy win at the just concluded Russia 2018 World Cup, there was another spectacular series of events captured on camera and it was done by no other person that the Croatian president, Kolinda Grabar-Kitarović. Kolinda Grabar-Kitarović showed us she is definitely the life of the party as she put her emphathic side and emotions on display during and after her team battled France for the Russia 2018 World Cup trophy at the Luzhniki stadium. Arguably the most compassionate president at the World Cup tournament, hugs were her signature display of love. 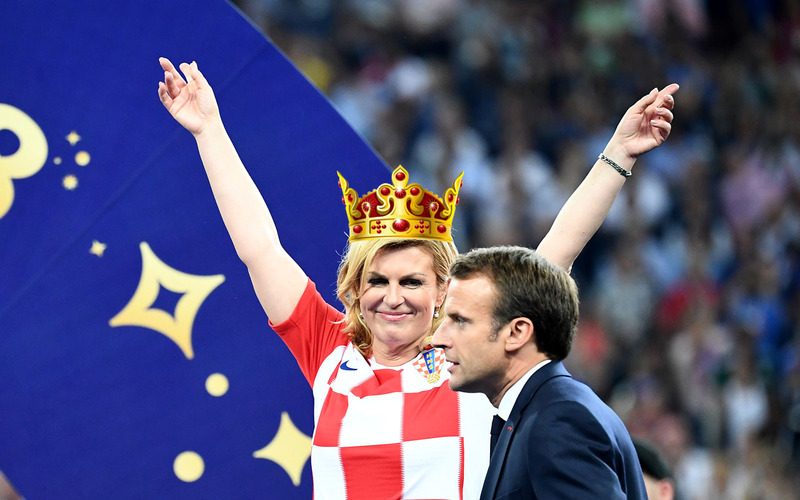 Despite Croatia coming second at the game, she will be remembered as the president who cheered on her teams in an unbeatable team spirit. 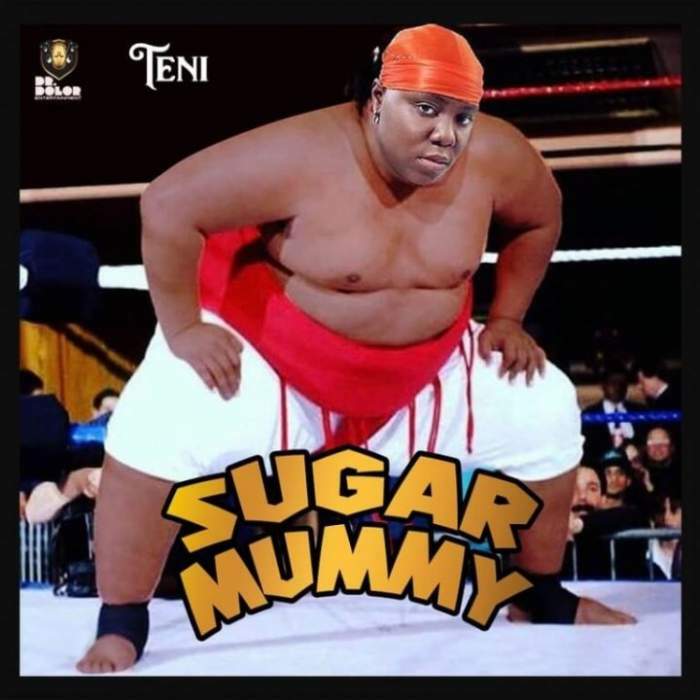 We just might consider putting her on the Guardian Nigeria's books of records as the "All Time Queen of Hugs".